October 2017: NEW Storage Units Available! Whether you need small storage for personal items or storage for cars, boats, or motorcycles, we have space to fit your needs. Contact us to reserve your spot! Sawmill Mini Storage offers over 100 storage units. Prices start at $35/mo. Discounts are given for advanced payment and multiple unit rentals. Units have wood roofs that don't sweat, secure double locks, and easy access. Facility is fenced with electronic 24 hour gate access. 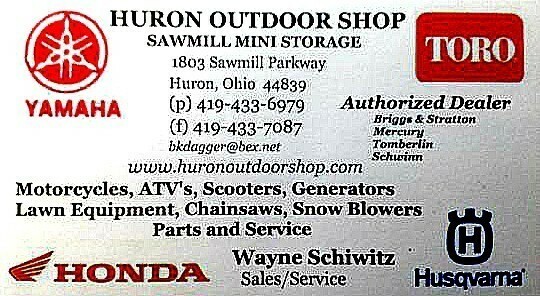 Huron Outdoor Shop offers on-site, secure outdoor storage for campers, trailers, boats and vehicles.